Why did the Southern states secede? The Thirteen Colonies established a Continental Congress that declared independence in 1776 from Great Britain and formed a new nation — the United States of America. The Declaration of Independence, as we know it, had been referred to as rebellion and treason by the parent power of Great Britain. Less than one century later, secession, also known as rebellion and treason, was attempted again by the Southern states. When the Southern states seceded, they acted on the belief that the Union was merely a compact, or agreement, among sovereign states. The South, and many Northern states, also believed that the 10th Amendment to the U.S. Constitution limited "Federal powers with the independent States." (Bill of Rights and States' Rights and Secession of Southern States). Through the decades, Southerners had become increasingly disturbed by their lessening influence in the Federal government. The Southern states would secede following the presidential election in 1860, beginning with South Carolina on December 20 and concluding with Tennessee on June 8, 1861. The strength of Southern sentiment can easily be explained: the political balance favored the North. This topic is referred to as Sectionalism. The Southern states were aligned strongly with the Democratic Party, but the election of Abraham Lincoln, a Republican, was perceived as the death blow to the South and its interests. The South, through the decades, had witnessed numerous tariff acts that favored Northern interests, and with Lincoln in office it believed that additional unfavorable tariffs would again be imposed. The four months between Lincoln's election and his inauguration proved a trying period for the Union. Bewildered by the speed with which events had progressed, President Buchanan wavered in his course of action. In his annual message, he stated that the Southern states had no right to secede but that, on the other hand, Congress had no power to force them to stay in the Union. Until Lincoln was sworn into office, Buchanan simply wanted to stall the crisis. Northerners were by no means in agreement regarding how the South should be treated. Many favored a peaceful withdrawal of the South. Horace Greely's New York Tribune said "if the Southern states felt they would be better off outside of the Union, they should be permitted to go peacefully." But others claimed the South had no right to secede and were determined to hold the Union together. The number of those who believed this increased daily. The outlook was so gloomy that statesmen resorted to the time-honored practice of compromise. The aged Senator Crittenden of Kentucky proposed several amendments to the Constitution, but the Republican opposition was strong and the Crittenden proposals failed in Congress (Crittenden Compromise). Another compromise was tried, this time by the border states, led by Virginia. A peace convention, representing 21 states, opened at Washington on February 4, 1861. But its proposals received little attention in the Senate. In February, also, a convention of delegates from all the seceded states, except Texas, met at Montgomery, Alabama, to organize a temporary Southern government. They chose Jefferson Davis for President. Davis had served as Secretary of War in Pierce's cabinet, was a Mexican War veteran, had represented Mississippi in the U.S. Senate, and had even married Sarah Knox Taylor, daughter of former President Zachary Taylor. Davis also succeeded Calhoun as spokesman for the South. Alexander H. Stephens of Georgia became Vice-President. Soon afterwards a permanent Constitution for the Confederate States of America (C.S.A.) was adopted. This Constitution was similar in many ways to the United States, but openly accepted the doctrine of state sovereignty. The foreign slave trade was prohibited, while slavery was accepted and approved. The Confederate Constitution also forbade its Congress to levy a protective tariff, but duties could be placed upon exports by two-thirds vote of both houses. A simple method for amending the Constitution was included, but no arrangement was made for secession. By the time Abraham Lincoln was inaugurated on March 4, 1861, a powerful government existed below the Mason-Dixon Line. It had taken steps to raise an army and to secure funds, and it also sent commissioners to Washington to work out a treaty and to arrange for the division of the common property of the states (similar to the present-day divorce with its division of marital property). Seven states (South Carolina, Mississippi, Florida, Alabama, Georgia, Louisiana, and Texas) declared their secession from the United States before Lincoln took office on March 4, 1861. After Lincoln's subsequent call for 75,000 troops on April 15 (Lincoln's Call For Troops), to subdue the seceded states, four more states (Virginia, Arkansas, Tennessee, and North Carolina) declared their secession. On December 26, 1860, six days after South Carolina declared its secession, U.S. Army Major Robert Anderson, without orders from Washington, and on his own initiative, abandoned the indefensible Fort Moultrie, South Carolina, and secretly relocated companies E and H (127 men, 13 of them musicians) of the 1st U.S. Artillery to Fort Sumter. 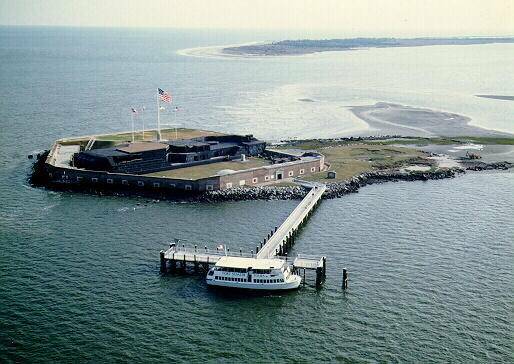 Fort Sumter, built following the War of 1812 and named in honor of Revolutionary War hero General Thomas Sumter (“The Carolina Gamecock”), was a vital and strategic coastal fortification. Anderson thought that providing a stronger defense would delay an attack by South Carolina militia, but, to the contrary, South Carolina and Confederate officials viewed Anderson’s strategic move as a direct threat to its sovereignty and as a provocation to war. (Right) Union Steamship Star of the West approaching Fort Sumter with military supplies and reinforcements to the garrison of Fort Sumter. Illustration from Frank Leslie's Weekly. In the midst of the secession crisis that would lead to the Civil War, President James Buchanan, in his final State of the Union address on December 3, 1860, acknowledged the South would "after having first used all peaceful and constitutional means to obtain redress, would be justified in revolutionary resistance to the Government of the Union." President Lincoln calls for 75,000 troops to coerce and subdue the seceded states. When Lincoln demanded that the states levy troops to force and compel the seceding states to remain in the Union, Governor Magoffin, Kentucky, responded quickly by telegram: "I will send not a man nor a dollar for the wicked purpose of subduing my sister Southern States." On April 15, 1861, the Lincoln administration demanded that North Carolina furnish two regiments for this undertaking. The lawful and constitutional right for a state to secede (secession) from the Union (United States) has been debated from Civil War buffs to constitutional scholars. Regarding Southern Secession, however, it was not discussed before the United States Supreme Court, which was the nation's highest court and final lawful arbiter. (Right) Chief Justice Roger Brooke Taney. He personally administered the oath of office to Lincoln, his most prominent critic, on March 4, 1861. When the Civil War commenced, he continued to trouble Lincoln during the three years he remained Chief Justice. 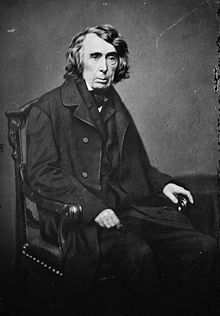 After President Lincoln suspended the writ of habeas corpus in parts of Maryland, Taney ruled as Circuit Judge in Ex parte Merryman (1861) that only Congress had the power to take this action. Lincoln allegedly made an aborted attempt to arrest Taney himself in response to his habeas corpus decision. Lincoln also ignored the court's order and continued to arrest prisoners without the privilege of the writ, though Merryman was eventually released without charges. Why wasn't the lawful and constitutional right for any state to secede or withdrawal from the Union decided by the highest court? Because President Lincoln believed and opined that secession was illegal and therefore strongly opposed and obstructed the U.S. Supreme Court from convening and rendering a decision. When U.S. Supreme Court Chief Justice Roger B. Taney stated that the constitutionality of Southern Secession must be decided by the Supreme Court, President Lincoln simply rebuked Taney. Taney, himself, believed that "secession, not forbidden by the Constitution, was therefore legal." The Judicial Branch (also known as the Judiciary) was equal, separate, and not subject to the Executive Branch (known as Separation of Powers). When the Executive Branch oversteps its constitutional powers, then the nation becomes a despotism. The Union (United States) had been compared to a compact or agreement between the states as referenced in the Declaration of Independence, and the Federal government had been stated as having limited powers with the states as referenced in the 10th Amendment to the U.S. Constitution. Many analogies have also been used or applied to the Union and secession. Perhaps one of the best analogies regarding secession is divorce. When a couple divorces, there is dissolution of the union or agreement between two parties. The cause or causes which led to the divorce may vary, but the end result is that the two parties are no longer in union. When the parties are engaged in a contested divorce, consequently, it must then proceed to court. What led to the divorce is now irrelevant and moot; the principal fact is that the divorce itself is being contested. If the divorce is denied the fundamental right to a hearing, then the divorce itself is now the sole subject in question and it leads to the core and greatest question: Why do we have courts and laws and the Constitution? Regarding said subject, to resolve disputes between parties. "[Congress shall have Power...] To declare War, grant Letters of Marque and Reprisal, and make Rules concerning Captures on Land and Water." Notice that the Executive branch, the President, is not reserved the power to declare war, period. With the Mexican-American War looming in 1846, (then) Congressman Lincoln believed and stated that only Congress possessed absolute authority for war powers or war-making power. He referred to any president who declared any war without the consent of Congress as an oppressive king. Congressman Lincoln then moved for a Resolution issuing the President (Polk) interrogatories (questions) so the Congress could determine and declare war against Mexico. Years later as president, Lincoln, however, without the consent of Congress, declared war on the rebellion in the Southern states. Jefferson Davis's release from prison came after a finding by the Chief Justice of the United States Supreme Court, Salmon P. Chase, that there was nothing in the U.S. Constitution that prohibited the secession of states. If secession was not illegal, neither Davis nor any other Confederate leaders could be guilty of treason. Davis, however, wanted a trial because he saw it as an opportunity to vindicate both himself and the actions of the Confederacy, i.e. the constitutional right to secede. On May 19, 1865, Davis was imprisoned at Fort Monroe, Virginia. Although he was indicted for treason a year later, he was never tried. The main reason that the United States dropped the charge was because it believed that if Davis was tried for treason, "he may very well prove that Southern Secession, or the secession of any state, was both constitutional and legal," therefore vindicating the South, justifying secession, pondering the needless loss of life (620,000 deaths), and condemning the Federal government and President Abraham Lincoln's actions for not only denying Southern Secession, but for their refusal to allow the U.S. Supreme Court its constitutional right and duty to make any decision regarding secession. After two years of imprisonment, Davis was finally released on bail which was posted by prominent citizens of both Northern and Southern states, including Horace Greeley and Cornelius Vanderbilt. The nation, meanwhile, experienced the Reconstruction Era and Acts (1865-1877). "No one has ever proven secession to be either constitutional or unconstitutional. The question never reached the United States Supreme Court, which would be the only lawful arbiter. The outcome of the Civil War did decide that secession was not lawful AT THAT TIME, in that it was tried and it failed to secede. If it is tried again and this time the attempt is successful, then it will be "lawful" for the time being. But in the end, only a court decision can decide the matter. It is pretty ambiguous." Excerpt from a letter that Historian William C. Davis wrote to me and the emphasis, caps and quotations, belong to him. Jack is the senior consultant for 52 episodes of the History Channel's "Civil War Journal" (A&E Television Networks). Davis has twice been nominated for the Pulitzer Prize in History and is the only three-time winner of the Jefferson Davis Award given for book-length works on Confederate history. Recommended Reading: When in the Course of Human Events: Arguing the Case for Southern Secession. Review: As a historian, I have learned that the heart of any great work in history lies in the ample and accurate use of primary sources, and primary sources are the great strength of this work. While countless tomes have debated the perceived moral sides of the Civil War and the motivations of the various actors, this work investigates the motives of the primary players in the era and in their own words and writings. This gives the work an excellent realism and accuracy. The author, Charles Adams, has earned a reputation as one of the leading economic historians in the field, particularly in the area of taxes. He utilizes this background to investigate the American Civil War, and comes to some very striking conclusions, many that defy the politically-correct history of today. His thesis postulates that the Civil War had its primary cause not in slavery or states' rights, but rather in cold, hard economic concerns. Continued below. Recommended Reading: One Nation, Indivisible? A Study of Secession and the Constitution. Description: Is secession legal under the United States Constitution? "One Nation, Indivisible?" takes a fresh look at this old question by evaluating the key arguments of such anti-secession men as Daniel Webster and Abraham Lincoln, in light of reason, historical fact, the language of the Constitution, and the words of America's Founding Fathers. Modern anti-secession arguments are also examined, as are the questions of why Americans are becoming interested in secession once again, whether secession can be avoided, and how an American state might peacefully secede from the Union. Continued below. "The federal government's growth of power at the expense of individuals and natural human communities has been the trend so long now that it has seemed inevitable. But thoughtful people of late have been rediscovering the true decentralist origins of the United States. Robert Hawes states the case beautifully for the forgotten decentralist tradition - which may be our only hope for the preservation of freedom." Recommended Reading: The Real Lincoln: A New Look at Abraham Lincoln, His Agenda, and an Unnecessary War. Description: It hardly seems possible that there is more to say about someone who has been subjected to such minute scrutiny in thousands of books and articles. Yet, Thomas J. DiLorenzo’s The Real Lincoln manages to raise fresh and morally probing questions, challenging the image of the martyred 16th president that has been fashioned carefully in marble and bronze, sentimentalism and myth. In doing so, DiLorenzo does not follow the lead of M. E. Bradford or other Southern agrarians. He writes primarily not as a defender of the Old South and its institutions, culture, and traditions, but as a libertarian enemy of the Leviathan state. Continued below. Recommended Reading: Secession Debated: Georgia's Showdown in 1860. Review: The critical northern antebellum debate matched the rhetorical skills of Abraham Lincoln and Stephen A. Douglas in an historic argument over the future of slavery in a westward-expanding America. Two years later, an equally historic oratorical showdown between secessionists and Unionists in Georgia generated as much popular interest south of the Mason-Dixon Line, and perhaps had an even more profound immediate effect on the future of the United States. Continued below. With Abraham Lincoln's "Black Republican" triumph in the presidential election of 1860, the United States witnessed ardent secessionist sentiment in the South. But Unionists were equally zealous and while South Carolina--a bastion of Disunionism since 1832--seemed certain to secede; the other fourteen slave states were far from decided. In the deep South, the road to disunion depended much on the actions of Georgia, a veritable microcosm of the divided South and geographically in the middle of the Cotton South. If Georgia went for the Union, secessionist South Carolina could be isolated. So in November of 1860, all the eyes of Dixie turned to tiny Milledgeville, pre-war capital of Georgia, for a legislative confrontation that would help chart the course toward civil war. In Secession Debated, William W. Freehling and Craig M. Simpson have for the first time collected the seven surviving speeches and public letters of this greatest of southern debates over disunion, providing today's reader with a unique window into a moment of American crisis. Introducing the debate and debaters in compelling fashion, the editors help bring to life a sleepy Southern town suddenly alive with importance as a divided legislature met to decide the fate of Georgia, and by extension, that of the nation. We hear myriad voices, among them the energetic and self-righteous Governor Joseph E. Brown who, while a slaveholder and secessionist, was somewhat suspect as a native North Georgian; Alexander H. Stephens, the eloquent Unionist whose "calm dispassionate approach" ultimately backfired; and fiery secessionist Robert Toombs who, impatient with Brown's indecisiveness and the caution of the Unionists, shouted to legislators: "Give me the sword! but if you do not place it in my hands, before God! I will take it." The secessionists' Henry Benning and Thomas R. R. Cobb as well as the Unionists Benjamin Hill and Herschel Johnson also speak to us across the years, most with eloquence, all with the patriotic, passionate conviction that defined an era. 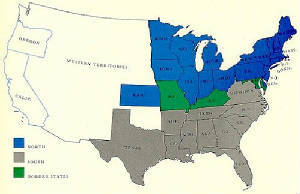 In the end, the legislature adopted a convention bill which decreed a popular vote on the issue in early January 1861. The election results were close, mirroring the intense debate of two months before: 51% of Georgians favored immediate secession, a slim margin which the propaganda-conscious Brown later inflated to 58%. On January 19th the Georgia Convention sanctioned secession in a 166-130 vote, and the imminent Confederacy had its Southern hinge. Secession Debated is a colorful and gripping tale told in the words of the actual participants, one which sheds new light on one of the great and hitherto neglected verbal showdowns in American history. It is essential to a full understanding of the origins of the War Between the States. The accession of William of Orange to the throne was met with popular support, as the usurpations of William II were not amenable to the populace. This so called revolution set a standard for peaceful political separation, and it was exactly what the American Continental Congress sought from Great Britain. Likewise, peaceful separation was what the southern states that formed the Southern Confederacy wanted when those eleven states formally separated from the United States. Secession does not have to mean war and violence, but war was thrust upon American colonials and southern confederates when their previous government refused to acknowledge their right of self-determination. As the Declaration of Independence proclaims, "...whenever any Form of Government becomes destructive of these ends, it is the Right of the People to alter or to abolish it, and to institute new Government, laying its foundation on such principles and organizing its powers in such form, as to them shall seem most likely to effect their Safety and Happiness." As Confederate President Jefferson Davis proclaimed, "All we ask is to be left alone." The Glorious Revolution forms the foundation of Graham's treatise as he advances his thesis and makes the case for secession. As Donald Livingston proclaims in the preface, "The central focus of this work will be revolution, not as an armed overthrow of an established government, but as a rational and orderly process, specifically allowed by fundamental law." In making the case for secession, Graham substantiates the compact nature of the Union as well, which correspondingly legitimizes interposition, nullification, and secession. Two early constitutional commentaries including St. George Tucker's View of the Constitution of the United States (1801) and Pennsylvania Federalist William Rawle's A View of the Constitution (1829) both affirm a right of secession. **The Kentucky and Virginia Resolutions which were in continuity with the colonial-revolutionary tradition of State remonstrance, protest, interposition and nullification of unconstitutional acts of central government authorities. **The Hartford Convention and the anti-war, anti-embargo northern secessionist movement which emerged after the unwelcomed War of 1812 with the British. **The Webster-Hayne Debates on the nature of the Union is explained in detail. Likewise, Daniel Webster's case of foot-in-mouth disease is made manifest as Hayne hearkens back to his deeds at the Hartford Convention. **The Missouri Compromise and constitutional question of slavery and the sectional strife over the spread of slavery into the territories is explained. **The secession of the eleven southern states from the Union and the circumstances leading to their separation are explained in detail. Likewise, the birth of the Southern Confederacy and the north's violent refusal to accept their separation is painstakingly documented. **The unlawful and violent conquest of the South, the unconstitutional political repression in north and south, the illegal suspension of the writ of habeas corpus throughout the whole nation and the oppressive Reconstruction Acts are explained with amazing clarity and detail. **Graham fast forwards to the twentieth-century. In our time, Quebec has asserted the legal right of secession as a viable political alternative if its relationship with the central government of the Canadian Confederation does not prove to be more mutually-beneficial and less detrimental to the interests of Quebec's citizenry in coming years. With a distinctive francophone culture and nearly half of the populace voting for secession in the last popular referendum, we may well witness the peaceful separation of Quebec from Canada in our lifetime. All things considered, John Remington Graham has done a remarkable job at making the case for secession and has made a lasting contribution to constitutional scholarship. His book is well-documented and awash in powerful quotations from British and American statesmen. There is a preponderance of evidence in the Anglo-American constitutional heritage which makes secession a lawful exercise. Likewise, he is very logical in tracing the deducible nature of State sovereignty. Graham in final application points out that self-determination as expressed in an act of secession emanates from the right of people themselves to self-government. Essentially by presenting the secession of the American colonies and the Southern Confederacy in its proper historical and legal context, Graham has made a valuable contribution to understanding the Anglo-American political tradition. John Graham who presently served as an expert advisor on British constitutional law to the amicus curiae (i.e. friend of the court) for Quebec in the secession state decided in 1998. As Jefferson astutely opined, "Prudence, indeed, will dictate that Governments long established should not be changed for light and transient Causes..." Thus, secession is never to be approached lightly, and the act of secession negates the value, benefits and security of the Union. "I saw in State Rights the only availing check upon the absolutism of the sovereign will, and secession filled me with hope, not as the destruction but as the redemption of Democracy. The institutions of your Republic have not exercised on the old world the salutary and liberating influence which ought to have belonged to them, by reason of those defects and abuses of principle which the Confederate Constitution was expressly and wisely calculated to remedy. I believed that the example of that great Reform would have blessed all the races of mankind by establishing true freedom purged of the native dangers and disorders of Republics. Therefore I deemed that you were fighting the battles of our liberty, our progress, and our civilization; and I mourn for the stake which was lost at Richmond more deeply than I rejoice over that which was saved at Waterloo." -Lord Acton in a letter to Robert E. Lee, Nov. 4, 1866. Recommended Reading: The South Was Right! (Hardcover). Description: Kin Hubbard said "'Tain't what a man don't know that hurts him; it's what he does know that just ain't so." Much of what people "know" about the causes, conduct, and consequences of the Civil War "just ain't so." The Kennedy brothers make a strong case that the real reasons and results of the War Between the States have been buried under the myth of Father Abraham and his blue-clad saints marching south to save the Union and free the slaves. Sure, the tone is polemical. But the "enlightened" elements of American opinion have been engaging in a polemic against the South and its people for decades. Continued below. The encyclopedia provides in A-Z format information on the war's strategic aims, diplomatic and political maneuvering, key military actions (with descriptions of more than 60 engagements), key participants (civilian and military), and impact on American society and history. Mary Ann Ball Bickerdyke, a Union Army nurse; Matthew Brady, a photographer who accompanied the Union Army in the first main battle; and military leaders such as Ulysses S. Grant, Robert E. Lee, and James Longstreet are just a few of the individuals covered. The encyclopedia not only treats the military aspects of the war but presents full coverage of the politics, literature, art, music, and homefront events. Every conceivable subject--from Chickamauga, Battle of to Harper's Weekly to Gatling gun to Jews-- receives consideration. .Entries range from less than one-half page to more than eighteen pages for the Atlanta Campaign. Each essay is followed by see also references to related entries elsewhere in the set, as well as extensive suggested readings for deeper research on that particular subject. The final volume compiles more than 250 topically arranged documents, including Abraham Lincoln's famous "A house divided against itself cannot stand" speech, excerpts from Frederick Douglass' "My Escape from Slavery" speech, Jefferson Davis' "Proclamation of 1861," the Battle Hymn of the Republic, and more. These primary source materials are an invaluable enhancement to the set. Following the documents, one finds five appendixes. Appendix I lists the Confederate States of America's general officers, followed by its government in appendix II. Appendix III lists the officers of the United States of America, followed by its government in appendix IV. Appendix V is a directory of Civil War battlefield sites with addresses, phone numbers, and maps. Following the appendixes is a "Civil War Chronology" showing relationships between military actions and political, diplomatic, and social developments. A brief glossary provides definitions for the researcher unfamiliar with such terms as cashier ("dishonorably discharge an office") and retrograde ("an orderly retreat usually designed to move away from an enemy"). An extensive bibliography lists all the resources referenced throughout the volumes. The index indicates main entries in bold print, while illustrations are identified with italics. The index is detailed and comprehensive. For example, under African American sailors, there are references to individuals who relate to this category, such as Gideon Welles and Francis Shoup. Under Gettysburg, battle of one finds page references not only to information about the battle but also to related people, places, and events. The set is handsomely designed, with numerous period photographs complementing the text.. There are some minor criticisms regarding layout, which makes maneuvering the set a bit cumbersome. The index to all volumes can only be found in volume five, which means the researcher has to use two volumes most of the time; a cumulative index in each volume would have made access easier. The index cites only page numbers, leaving the user to guess which volume a page might be in. Neither the bibliographies nor the directory to battle sites makes reference to the copious information that is available through the World Wide Web. However, these are small shortcomings. Encyclopedia of the American Civil War is the most comprehensive reference work written about its topic, providing both the novice and the expert an opportunity to expand their knowledge of this vital aspect of U.S. history. Recommended for high-school, public, and academic libraries. Copyright © American Library Association. All rights reserved. From the Inside Flap (Special features): 1,600+ signed, A-to-Z entries, each with references to further reading. 300+ contributors, including some of the leading Civil War scholars at work today. 500+ illustrations, including contemporary photographs, lithographs, and drawings. 75 maps created specially for this encyclopedia. 250+ primary source documents that provide "you-are-there" immediacy: the Dred Scott decision, Lee’s Farewell Address—speeches, legislation, military and civilian correspondence, editorials, and eyewitness reports. Chronology of major political, diplomatic, and military events. Glossary that defines military terms and explains usages peculiar to the period. In-depth coverage of the often-overlooked roles of African Americans, immigrants, and women, in battle and on the home front. Comprehensive treatment of subjects usually covered only in specialized monographs, from social conditions and public reactions to the war to press coverage and elections. Full accounts of the major battles, complete with detailed dispositions of forces, commanders, and orders of battle—as well as smaller engagements and their role in the larger military context. Coverage of subjects related to or affected by the war: slavery, states’ rights, secession, emancipation, Reconstruction, the involvement of foreign powers, literature, photography, art, conscription, conscientious objection, the role of immigrants. Biographies of military, political, diplomatic, and cultural figures, among them Horace Greeley, “Bloody Bill” Anderson, Fitzhugh Lee, George E. Pickett, Herman Melville, Eppa Hunton, Petroleum V. Nasby, Henry Wirz. Lists of the officers of the Union and Confederate armies and the members of the two governments. Special battlefield section for sites in sixteen states, with location maps and visitor information. Exhaustive subject index and cross-referencing. Sources: Canfield, Leon H. & Wilder, Howard B. The Making of modern America, 1956; Adams, Charles. When in the Course of Human Events: Arguing the Case for Southern Secession. Lanham, Maryland: Rowman and Littlefield, 2005; Hawes, Robert, One Nation, Indivisible? A Study of Secession and the Constitution, 2006; Nichols, Roy F. "United States vs. Jefferson Davis, 1865–1869." American Historical Review 31 (1926): 266–284; Watson, David K. "The Trial of Jefferson Davis: An Interesting Constitutional Question." Yale Law Journal 24 (1915): 669–676; Blackford, Charles M. "The Trials and Trial of Jefferson Davis." Southern Historical Society Papers 29 (1901): 45–81; Bradley, Chester. 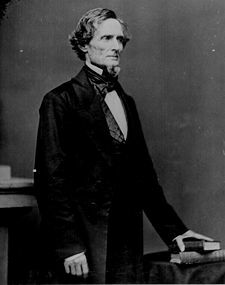 "Was Jefferson Davis Disguised As a Woman When Captured?" Journal of Mississippi History vol. 36 (Aug. 1974): 243–268; Fairman, Charles. Reconstruction and Reunion 1864–88. Part I. New York: Macmillan, 1971; Hagan, Horace Henry. "United States vs. Jefferson Davis." Sewanee Review 25 (1917): 220–225; William C. Davis, Jefferson Davis: The Man and His Hour, 1991; The Papers of Jefferson Davis at Rice University; Cooper, William J. Jefferson Davis, Jefferson Davis: The Essential Writings ed. by William J. Cooper, 2003; Dunbar Rowland, ed., Jefferson Davis: Constitutionalist; His Letters, Papers, and Speeches (10 vols., 1923); Jefferson Davis. The Rise and Fall of the Confederate Government (1881; numerous reprints); Library of Congress; National Archives; maine.edu; Official Record Series 1, Volume 1; Robert Anderson to Rev. R. B. Duane, December 30, 1860; Robert Anderson to Robert N. Gourdin, December 27, 1860; Haskin, William, Major, 1st U.S. Artillery (1896). "History of the 1st U.S. Artillery".